Did I Say Never is the first-person account of one woman’s life as stepmother to a son with special needs and the many ways in which he has blessed her life. Kim Nugent’s open and honest recounting of Brooks’s struggles includes her introduction into his life, the battle to find facilities capable of meeting his needs, and her family’s own triumphs over even the smallest of Brooks’s accomplishments. 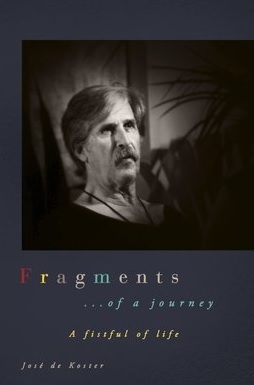 Nugent writes poignantly regarding her stepson’s progress throughout the years and the dedication and persistence required to provide Brooks with the best possible carparee as he matures. Life has a funny way of making us rethink all of our absolutes. Kim Nugent is no stranger to this phenomenon. Having declared she would never again marry and never needed to consider the ramifications of dating a man with children, Nugent finds herself falling headlong into a relationship with her soulmate–and his children. The author’s descriptions of her love for her stepchildren and the great lengths to which she has gone to fit successfully into the role of stepmother are raw and touching. Her experience is relatable, and she offers readers more than just a peek into the process which has dominated her life. As a mother and a teacher, I can appreciate Nugent’s methodical approach to meeting her stepson’s needs and the joy experienced when he meets each milestone. The time, effort, and devotion she shows Brooks is astounding. Nugent shares with readers a step-by-step list of instructions for helping meet his needs. She, literally, leaves nothing unaddressed. From his most basic day-to-day needs to interpreting his attempts to communicate his feelings, Nugent takes into account any and every situation in which a caregiver or family member might need advice when dealing with her son. Her family’s pride and elation upon hearing Brooks’s first word is clear to the reader. You cannot help but smile as you read and feel the warmth emanating through Nugent’s words. 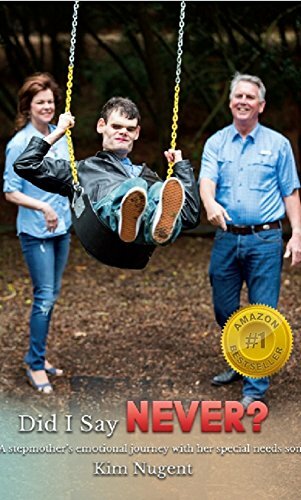 I highly recommend Did I Say Never to any parent of a child with special needs, any parent struggling to come to terms with a difficult diagnosis, or teachers seeking to better understand parents’ daily battles to maintain a daily routine while, at the same time, enriching their child’s life. Nugent offers something to readers most of us are incapable of imagining in regards to raising a child with special needs–the whole truth and nothing but. Parents and teachers alike will welcome the honest delivery and upbeat attitude from Nugent. I am giving Did I Say Never, by Kim Nugent, 5 out of 5 stars. Watching Nugent on her journey of self-discovery and seeing her stepson overcome some truly overwhelming circumstances makes for a wonderful reading experience. Not to mention, Nugent provides readers with an extensive and meticulously detailed list of needs and behaviors helpful to any caregiver or family member. Posted on March 30, 2018, in Book Reviews, Five Stars and tagged alibris, author, author life, authors, barnes and noble, book, book club, book geek, book lover, bookaholic, bookbaby, bookblogger, bookbub, bookhaul, bookhub, bookish, bookreads, books of instagram, booksbooksbooks, bookshelf, bookstagram, bookstagramer, bookwitty, bookworks, bookworm, did i say never, ebook, emotional, family, goodreads, health, ilovebooks, indiebooks, journey, kindle, kobo, literature, nonfiction, nook, novel, parent, psychology, publishing, read, reader, reading, shelfari, smashwords, special needs, step mother, step parent, story, writer, writer community, writing. Bookmark the permalink. 2 Comments. Definitely ordering this week! Thank you for recommending it.